Act fast! New data shows home prices aren’t growing as fast as they used to! Get your realtor on the phone, it’s time to buy! That’s what you’re supposed to do when new national data like today’s Case Shiller index shows home price growth is slowing, right? We’ve long preached here at The Basis Point that all housing is local, which means you need to read national stats with a lot of salt. Check this chart and the table below out to see what I mean. In the 20 housing markets Case Shiller covers, house prices went up 4.7 percent on the year as of last November. But how does a big market trend like that translate to you? The most important thing about starting a real estate hunt is knowing all the important variables will be local. 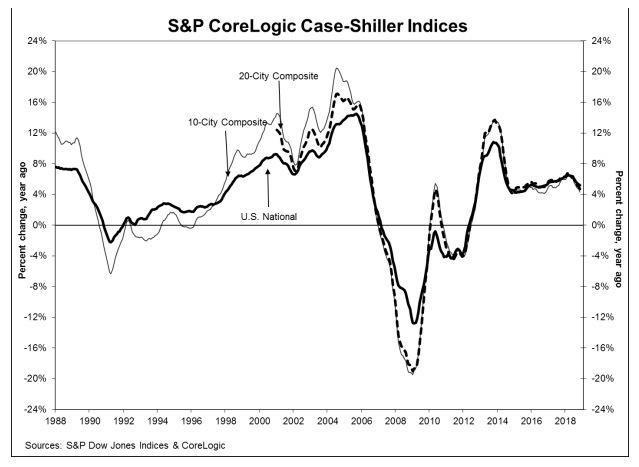 So it’s important to know the Case Shiller index doesn’t track cities, even though it says it does for simplicity’s sake. It tracks market trends in massive metro areas. 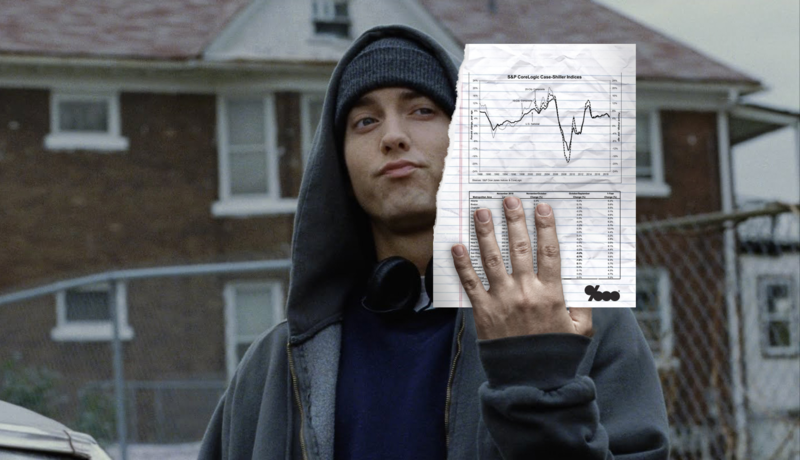 Let’s look at the methodology for my home turf of Detroit (pages 7 and 8 of this doc show you how Case Shiller works). The index looks at house prices in six different counties in the Detroit area that represent over 4,000 square miles. In that metro area, you have literal billionaires who live in mansions in areas like Grosse Pointe and working people struggling in places like Roseville (the setting of the Eminem movie 8 Mile). The point to take home here is home pricing is done on a neighborhood level. The price of a house in Grosse Pointe has as much effect on the price of a house in Roseville as it does a house in San Francisco. 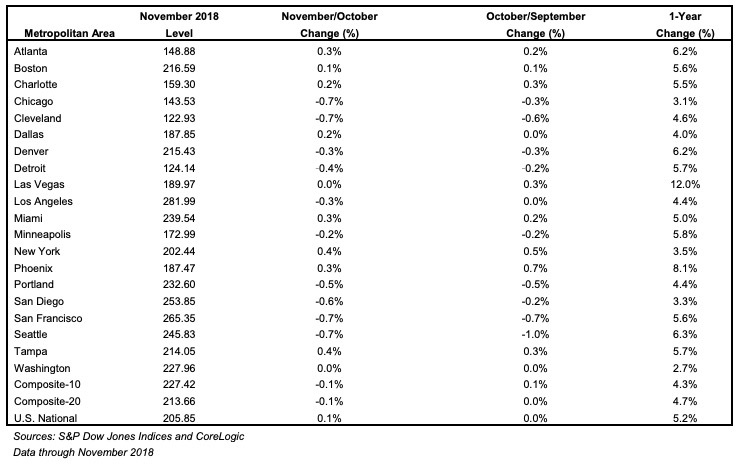 A whole other thing I didn’t get into is that these stats show closing home prices for the month of November, and since real estate deals take a month or two to close, these prices were generally decided in September or October. So by the time you read this data, it’s like five months late. If you’re starting your homebuying journey, national stats like these can only ever be a starting point, not a guide. Remember your priority is to price local and price current. To go deeper on how to properly house hunt, check out the links below. Julian’s “Looking For Housing Deals” series is the Bible of how to actually look for a house.